It’s a well-known ideology that home is where the heart is. Home is a place where friends and family gather to celebrate any number of things (or nothing at all). Home is a place where you seek refuge after a long day. Home is a place to make your own. And, primarily due to the availability of information everywhere, there are more options than ever before when choosing a home. It’s more common for people to do extensive research online before so much as setting foot inside a potential living space. So what is it people are searching for? Something unique. A home that stands out from the masses and offers everything you’re looking for and more. 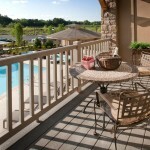 A home like The Regency at Johns Creek Walk. 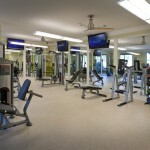 The resort-like feel is mentioned frequently in reference to The Regency’s community, which offers residents a welcoming pool area, multiple lounge areas to relax, and a fitness center that leaves no one an excuse not to work out. The 1, 2 and 3 bedroom apartments are spacious and comfortable, completing the portrait of luxury apartment life in ways that prompted one resident to say she would recommend The Regency to anyone. Conveniently located in the heart of the beautiful community of Johns Creek, The Regency is a place people are loving to call home. 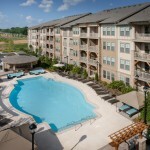 The Regency at Johns Creek Walk is where the heart is for her and so many of the residents. It’s a place people can gather with friends and family to celebrate something (or nothing). It’s a place to seek refuge after a terribly trying day at the office. It’s a place to make your own. To learn more, or to apply, call (770) 495-8000 or visit us online.